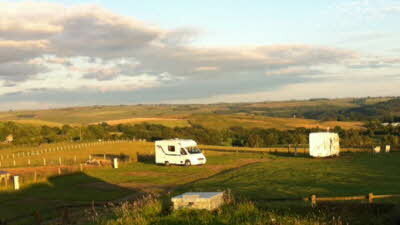 Haining Head CL is a tranquil site, set on a small working farm on the hillside just outside of Bellingham. Adults, children and pets are welcome. The site itself is located in a small field and pitches are hardstanding with water/electrical hook-up, space for awnings etc are available on request. Falconry experience, small pool for course fishing on site, 150 yards of fishing the river Tyne are available at extra cost, subject to availability. The site is an excellent base for exploring the surrounding area, which includes the roman wall, Kielder Water and National Park. Bellingham has a number of shops, pubs and restaurants. 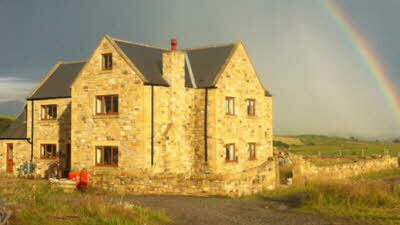 We stayed here at the beginning of the month so we could go to Kielder Observatory. Unfortunately the weather wasnt on our side so we couldn't see any stars. 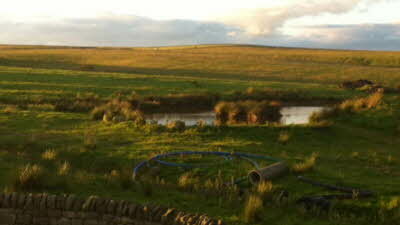 Haining Head Farm is a lovely WORKING farm. Farmers were busy lambing and working hard on the farm all the time. The views are lovely.The lambs were very cute and would be our alarm call on a morning which was lovely to here. 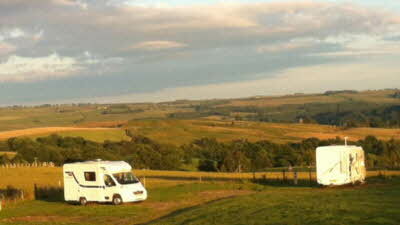 This site is perfect location to get to Kielder waterside which was beautiful, Hexham and Bellingham itself is lovely. When we were getting ready to go I got my car stuck on the grass which was very wet off all the snow they had and got stuck. The owners were very helpful and towed us out, so thanks very much for that. I would definitely return again. Scruffy entrance, but this is a working farm. Didn't see owner until we found him to pay on leaving, not a problem to us. Electric hook up good and lit at night. Water on each bollard (share between 2) Elsa point basic but serviceable. Grass cut but not mown as a lawn. Hard standing would be better if rolled to bed it down. It was level. 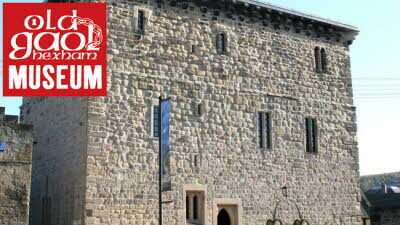 Good to visit Keilder, border towns and Hadrians Wall It was fine for us, fair price for a little CS. We would use again. Finding the Kielder site closed for renovations, Stephanie and I stayed here for one night on our return from Scotland. The CL is in a superb location, with a 360 degree panorama, resulting in some of our best sunset photos. I read some of the previous reviews with dismay. What do you want from a CL?...a reasonably level pitch, preferably with some hard standing, an accessible water point, chem disposal and helpfully electric hook ups. If, in addition, you have some of the best views in England, you should be happy. We were very happy, and most certainly would return. 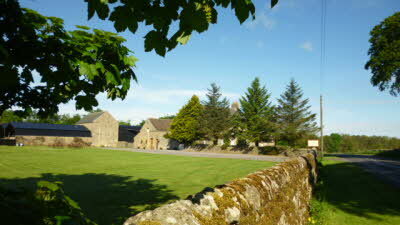 We stayed here for one night on our way to Scotland. As previous reviewers have said the entrance to the site is really scruffy, and the site itself could do with a good tidy up. We had to go up to the house to find someone to pay -owner was apparently away on holiday. The views are excellent. It was useful for a short stop. Easy access from main road to Bellingham. Rough field but stones on parking bays, albeit overgrown. Adequate welcome. Chemical toilet needs upgrading (hole in ground), no rubbish point. 30 minute walk (or cycle) to Bellingham - lovely market town. Note - uphill on return. Walk in town to waterfall and riverside. Two pubs - one in square best but no food (can get from take away cafe next door). Bus service available from Bellingham (didn't use). 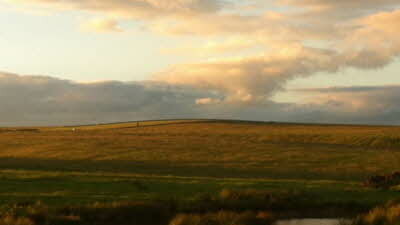 Recommend drive to Kielder Water (good motorhome parking £4 per day) - lovely walks, mountain bike trail.